A vibrant Indonesian island of Java, Surabaya is the 2nd largest city in Indonesia developed for the local and worldwide tournaments. Surabaya is also famed as the homeland of Indonesian first chief executive, Sukarno.The sprawling metropolis Golf in Surabaya is really a masterly experience and the city hosted as the world’s best charming city of golf and two astonishing mountains golf courses nestled just 60 minutes drive. About an hour’s drive to the south of Surabaya, Indonesia’s second largest city, in the resort area of Prigen lies the course that Jack built at the Taman Dayu Golf Club. The Taman Dayu Golf Club & Resort is a heavenly escape, set in the lush green foothills of Mount Welirang that has for centuries offered tranquility in an incredible unique and natural beauty. The Jack Nicklaus Signature Golf Course at Taman Dayu was strategically designed with nature in mind , enhancing the exceptional natural environment of the area as well as combining a world-class mountain resort ambiance with a truly outstanding 18-hole championship golf course. The course is not only an excellent green, it also is a reflection on the island natural beauty. Ahmad Yani Golf Club was the second golf course to open in Indonesia back in 1898, and is certainly the oldest in this region. Styled in the old school using mature trees to flank either side of the fairways, this relatively hilly layout is located in a beautiful setting in the southern part of Surabaya. In fact so special that in 2013 Surabaya declared Ahmad Yani GC as the historical heritage golf course in Indonesia. In 1980, Erich Kremmer renovated the Par 72 5,874 yard course and it was selected to host the PON 2000 National Golf Games tournament. 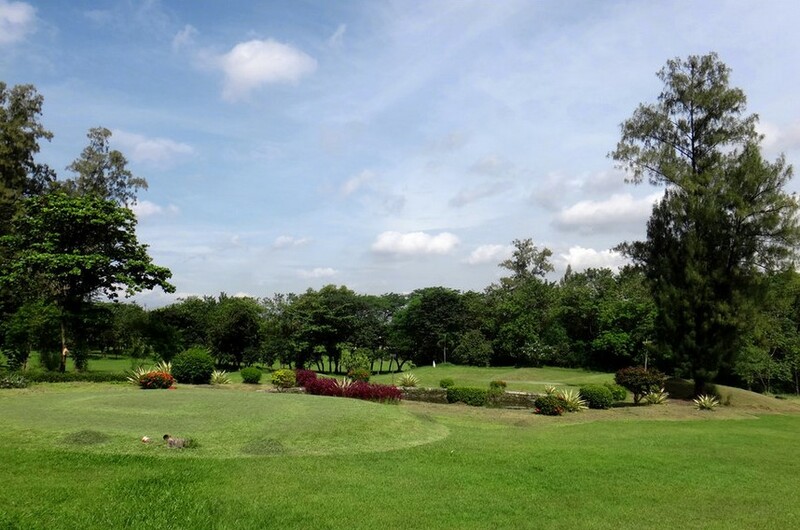 The Ahmad Yani Golf Club has an area of 60 hectares with 8 hectares of its total area is used as a conservation area. The course was designed with hilly contour, narrow fairways and dominated by old trees as the main obstacles. This condition makes the golf course which has 18 holes and par 72 became the suitable place for golfer who seek a challenging golf course while enjoying the beauty of local flora and fauna along with views of its natural beauty. Bukit Darmo Golf is conveniently located just 10 minutes from Surabaya’s city center in the Surabaya golf triangle with Ciputra Golf and Graha Famili just a short distance away. Bukit Darmo Golf has the distinction of being the first golf course in Asia designed by Jack Nicklaus II. Jack’s son has built a challenging 6,305 yard 18 holes out of what was originally a fairly flat piece of land. This championship course has a number of lakes, and they have utilised some exotic landscaping with earth mounding and even aqua features. It is a challenging layout, however with multiple tees is great for golfers of all levels. 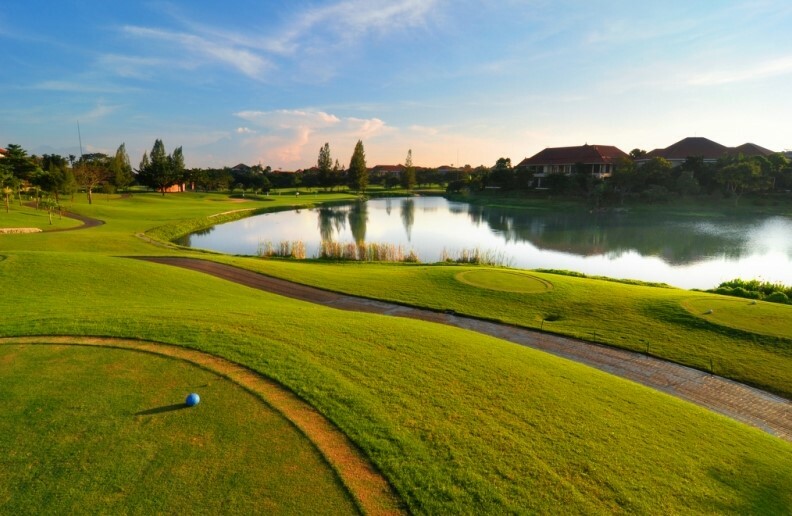 Finna Golf and Country Club is another exciting 18 hole layout created by international golf course designers Peter Thomson, Michael Wolveridge and Ross Perret. Here the three have cleverly incorporated the sensational landscape that has two distinctive “nines” starting and finishing at the clubhouse and running at 6,345-meters. It is a Par-72 layout on what is essentialy a mountain style course, running through rolling foothills. A cleanly struck wedge to a large green, nestled in between Mounds and hollows and jealously guarded by a necklace of bunkers, should provide a birdie opportunity if you are lucky. Hole 5, for example, a Par 3 has true Indonesian flavour, with views of the countryside and Mt. Penanggungan. From elevated tees, which were formerly terraced rice paddies, the shot is played over traditional rice paddies and a fast-flowing stream, to a distant manicured green. Hole 3 is a strong championship Par 4 in the foothills of Mt. Welirang and Mt. Arjuna, whilst the elevated Par 3 – 12th hole is unquestionably the most picturesque hole of the course, playing across rice paddies, terraced landscaping and water hazards. You can enjoy the clean, fresh environment and spectacular scenery of the nearby landscapes from every hole. The Golf Graha Famili & Country Club is a beautiful par 72 18 hole championship course located in West Surabaya and designed back in 1995 by international famous world golfer, Arnold Palmer. He created many challenges here to provide an enjoyable outing on his course. The course has bunkers, rivers and lakes as hazards that give golfers an exciting, complicated and enjoyable round of golf. There are many techniques that could be applied in this course to get the best hit! Golf Graha Famili provides you with some difficulties of Wide lakes; shape fairways with challenging stages which is regularly upgraded; wide greens for holes alternative positions – These difficulties will analyze your capability and abilities in playing golf. Pakuwon Golf & Family Club is situated only half an hour drive from the city center of Surabaya. The club has a distinctive concept of “the Africa Lost City”, giving the touch of different atmosphere in this stylish & magnificent club. The golf course is an executive Par 3 and includes an integrated full range driving range. The golf course provides a great service that can be experienced by golfers of all ability levels. Designed to meet USGA requirements, the professional gamers will find the course a true challenge while the beginner could discover an exiting way in playing this course.